Quick post today, I’m afraid. Got some work to do on the manuscript, and then it’s off to the city for some socializing with my peeps at Horror Realm‘s Spring Break Massacre. 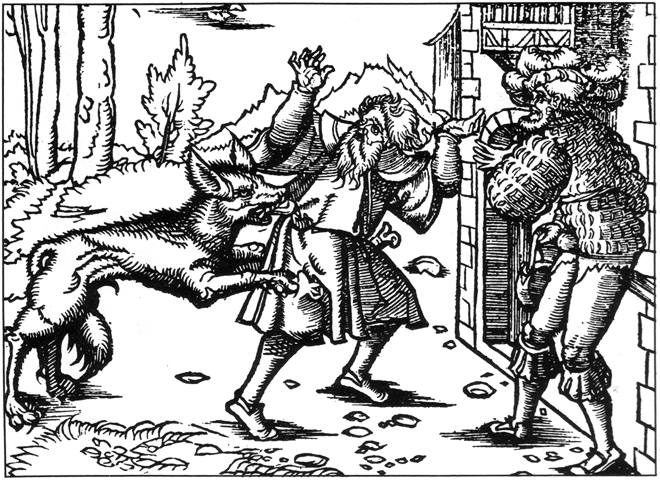 Have a swell weekend, and don’t do anything to provoke the werewolves. Like this guy above clearly did, much to the dismay of his puffy-shirted friend. New Editor for Nightscape Press! I have some exciting news to announce today! I’m very happy to tell you that the folks over at Nightscape Press have graciously taken me on to their editorial staff. You can click here to learn a bit about them, if you do not already know. Better yet, you can familiarize yourself with their catalog! Check out their novels, novellas, and anthologies.